Little Effort. Big Impact. Pack for a Purpose on Your Honeymoon. You are here: Home / Honeymoon Planning / Little Effort. Big Impact. Pack for a Purpose on Your Honeymoon. Packing for a honeymoon abroad? 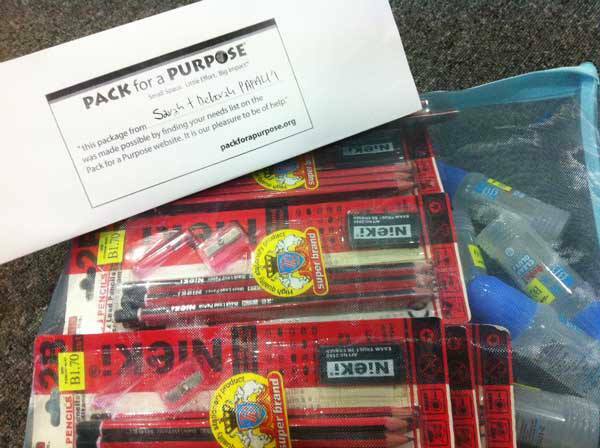 Consider making a difference in the lives children where you’re traveling to by participating in Pack for a Purpose. By packing only 5 pounds of supplies, like pencils or deflated soccer balls, you can make a positive impact on the local community. This experience is extremely rewarding and will give your honeymoon more meaning. Travel is much more than just seeing beautiful places; it’s about experiencing them! I’ve been very fortunate to visit lots of amazing destinations, so for me Pack for A Purpose is just a small way that I can give back to the local community for their hospitality and sharing their culture with me. And Pack for a Purpose has made it so easy to make a difference. 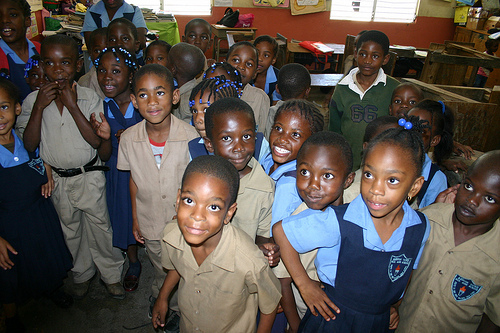 The organization identifies local project and community needs to contribute to then coordinates with several of the most popular resorts (like Sandals Resorts) for distribution. There you will find a list of the available projects supported. From the list choose which supplies you wish to pack in your suitcase. When you arrive at your lodging/tour destination drop off your donation. From there your supplies will be delivered for you! Yes, it’s that easy!! So consider leaving the hair dryer behind (the resort has one anyway) and pack a few inexpensive items that will brighten the day for dozens of young children. Just think, 5 pounds is about 400 pencils… that small investment can make a HUGE impact! 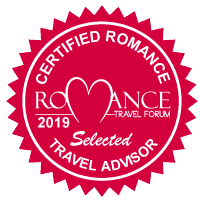 Experience the true joy of travel on your honeymoon by not only connecting with the place but the people, and pay it forward with Pack for a Purpose. Eileen is a member of the prestigious Sandals Resorts Chairmans Royal Club and a Karisma Resorts GIVC agent. She loves working with couples to make their special occasions memorable and as perfect as possible. Eileen prides herself in providing superior customer service from the beginning of the planning process right through the return home. Call 866-892-1352 or Request a Quote Online to start planning your dream getaway! Sign up for our newsletter! We'll share news, tips and deals. Serving couples in South Carolina, North Carolina, Maryland, Virginia, D.C. and the rest of the U.S.!